Marilou Brunker, master of arts teaching degree. The Keep It Real Contest is an opportunity for high school students to create commercials to reduce underage drinking. This year several Harrison County youth participated in the contest. The local Kentucky Agency for Substance Abuse Policy (KY-ASAP) board presented an award of $500 for their top choice of the Harrison County entries. 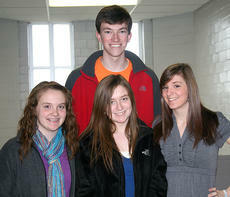 The winning video is entitled “CSAC” and was submitted by Sarah Nichols, Anna Nichols, Chelsea North and Cory McCauley. Kayla Fryman is the daughter of Sally Harrington and Mark Fryman and is enrolled at Bluegrass Community and Technical College where she was named to the Dean’s List for the fall 2010 semester. She is working on her Associates in Science with a certification in Radiography. To be named to the Dean’s List you have to carry a course load of at least 12 credit hours and maintain at least a 3.7 GPA. 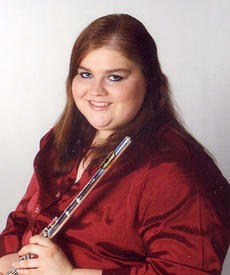 Felicia Helvey of Cynthiana was named to the Dean’s Honor Roll for the Fall Term 2010 at Berea College. A regional qualifying tournament added 14 speech members to the middle school roster to represent Harrison County at KHSSL State Speech Tournament. On Saturday, Feb. 12, Harrison County Middle School hosted the regional middle and high school speech tournament on the Hilltop. At stake was a spot to represent the competitors’ school at the KHHSL State Speech Tournament held at Western Kentucky University in Bowling Green. Until this point Harrison County had only one duo acting couple, Sarah Ruth Beson and Alycia Schaum, bound for Bowling Green.